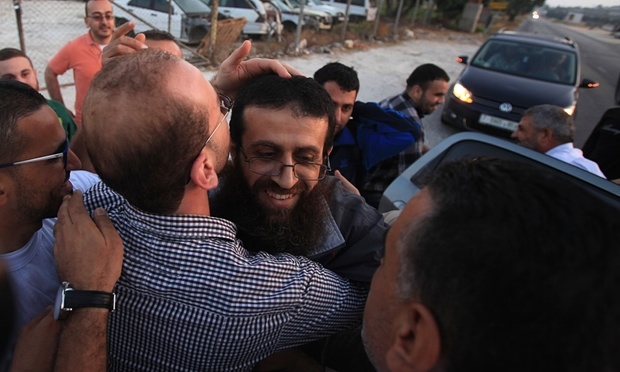 Khader Adnan, a Palestinian prisoner was released by Israel yesterday, after a 56 day hunger strike. He was striking against a controversial procedure which allows detainees to be held without charge. Adnan was detained in 2014, after the kidnapping and murder of three Israelis, part of the violence in the run-up to what is now called the 2014 Gaza War. Israeli officials expanded on their reasons for detaining Adnan, saying he belongs to the militant movement “Islamic Jihad”. The movement had organised a celebration in Adnan’s village upon his return. The government has also pushed for the right to force-feed prisoners who have gone on hunger strike. It’s a sad and growing global trend: detention without charge and force-feeding protestors. Ideology can distract us from the circumstances, making us amplify the need for such measures, or indeed, diminish a State’s need to act in pre-emptive ways. But it’s important to remain focussed on the situation: Khader Adnan has won an important victory for the rights of individuals against an aggressive policy of control. His victory in respect to this fact only should be respected and celebrated.